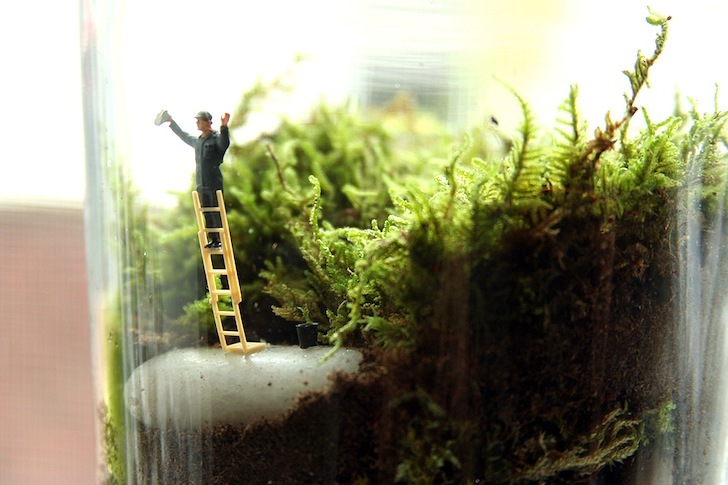 If you love terrariums as much as we do, this is going to rock your world: Brooklyn-based <a href="http://twigterrariums.com/">Twig Terrariums</a> has just announced that they will be selling a photographic collection of their finest miniature green gardens. 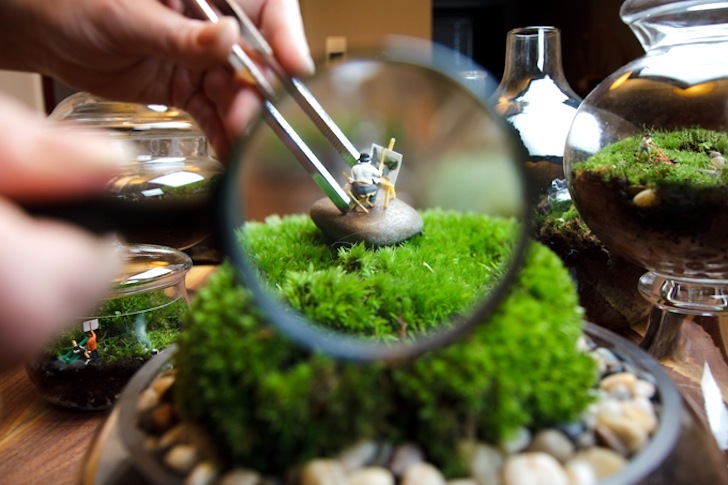 Called <a href="http://twigterrariums.com/our-book">Tiny World Terrariums</a>, this 120-page book will feature 100 full color images of their unique terrarium designs along with a step-by-step guide to creating tiny themed worlds that even the least green-thumbed person will be able to make and maintain. Twig is celebrating the book's release with a <a href="http://www.facebook.com/events/381048181926645/">special party</a> at their Gowanus studios on April 13th -- click through our gallery for a quick glimpse of their work and stay tuned for our forthcoming review. 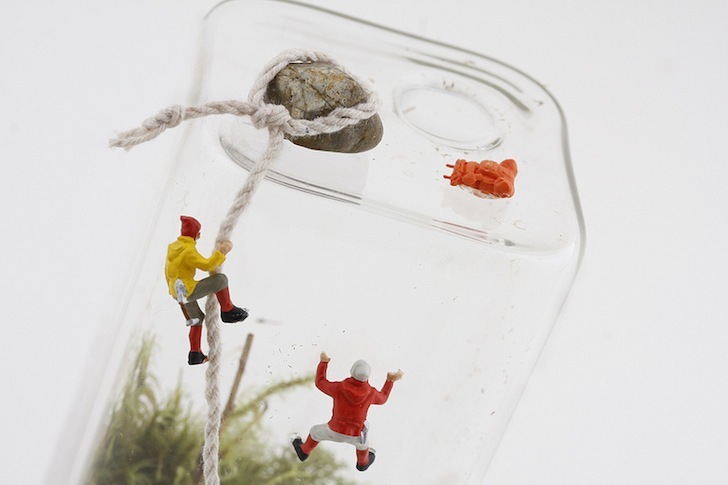 The only thing better than a terrarium is a whole collection of them coupled with detailed DIY instructions! 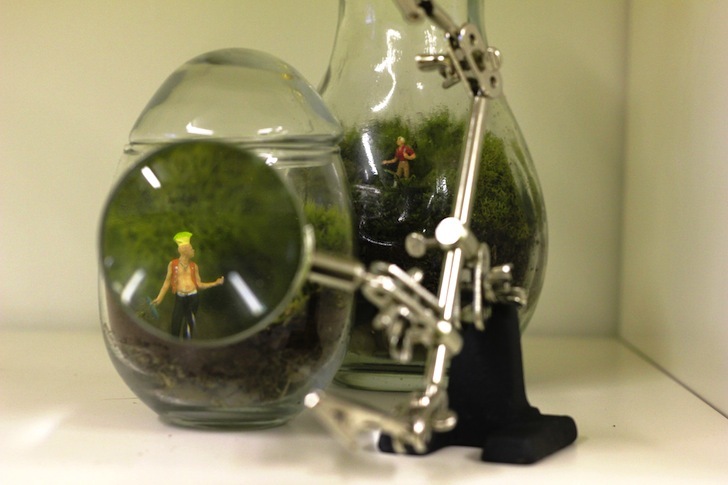 Brooklyn-based terrarium masters Twig Terrarium have announced that they will be releasing such a gem on May 1, 2012. 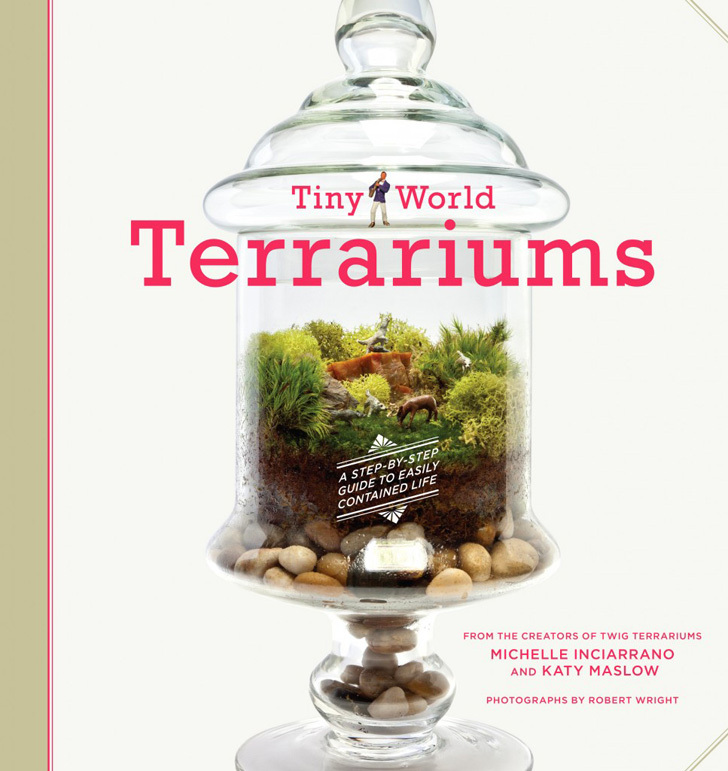 Tiny World Terrariums will feature 120 pages, 100 of which will include full color images. The book will be a step-by-step guide for even the most challenged planter that will make it very easy to replicate this at home. 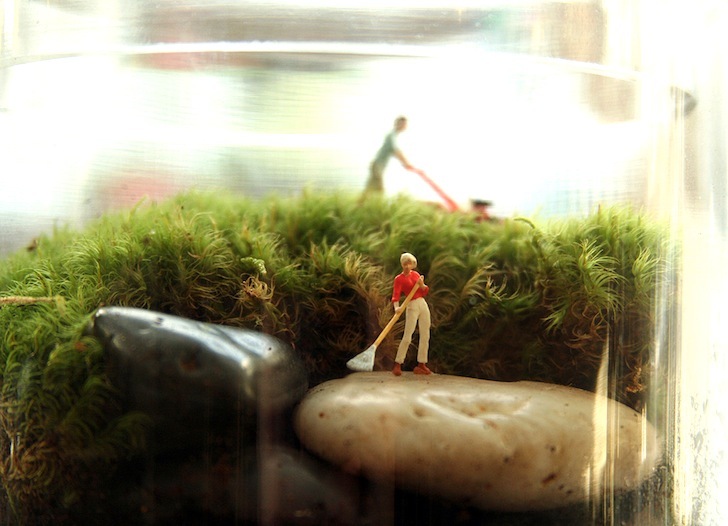 Twig specializes in creating thematic terrariums completed with little figurines. Readers will get a sense of how to choose a glass vessel and how to cultivate any different plant, including succulents and moss. 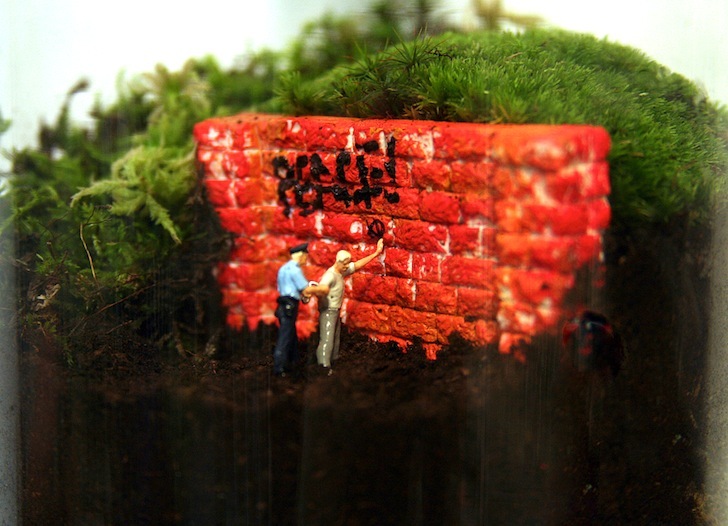 If you love terrariums as much as we do, this is going to rock your world: Brooklyn-based Twig Terrariums has just announced that they will be selling a photographic collection of their finest miniature green gardens. Called Tiny World Terrariums, this 120-page book will feature 100 full color images of their unique terrarium designs along with a step-by-step guide to creating tiny themed worlds that even the least green-thumbed person will be able to make and maintain. Twig is celebrating the book's release with a special party at their Gowanus studios on April 13th -- click through our gallery for a quick glimpse of their work and stay tuned for our forthcoming review.